ATM is a circuit switched protocol. POS is a point-to-point technology, IP is packet switched, and Ethernet is a broadcast technology. When a switch receives a frame with an unknown destination MAC address it floods the frame to all ports except the one the frame was received on. ICMP messages are used by routers rather than switches. A router must be used to route the packets at the IP layer in order to facilitate communication accomplished between two users on separate VLANs. TDM was initially developed for the PSTN reason. The majority of ATM adaptation layer traffic today is AAL5, which is a simple, connection-less, non-real-time service data such as IP. Application, Presentation, Session, Transport, Network, Data Link, and Physical are all valid an OSI layers. A corrupted frame is typically detected in Ethernet by using the FCS field in the Layer 2 header. The source MAC address is stored in the FDB along with the port the frame arrive on when a frame arrives at a port on an Ethernet switch. The purpose of VLANs is to separate broadcast domains. When VLANs need to span more than one switch, a VLAN tag is attached to the Ethernet frame to indicate VLAN membership. There is no per MAC address signaling done between switches. The outer tag is commonly used by the service provider, and the inner tag is commonly used by the customer regarding the use of Ethernet Q-in-Q. IP is encapsulated in PPP and transported over SONET regarding POS. One of the reasons for ATM's fixed 53-byte cell size was to have a relatively small size to minimize delay and jitter for voice services. Another reason was to simplify high-speed switching requirements for optical networks. Five service classes are defined by ATM. The different service classes are AAL1 (CBR), AAL2 (VBR-rt), AAL2 (VBR-nrt), AAL3/4 (ABR) and AAL5 (UBR). IOMs are configured first, followed by MDAs, followed by ports regarding the required order for configuration of Alcatel-Lucent 7750 SR ports. Display and examine the current card configuration with the show card command. The example output given in the shows exactly two cards present. They can be easily identified physical cards in the chassis since they have a (not equipped) name in the "Equipped Type" column. Any card appearing Slot "A" or "B" is an SF/CPM card; the example shows only one in Slot A. The example shows one IOM card, of type iom3-xp-b. The slots reserved for SF/CPM cards are always identified by a letter, either A or B.
IOM cards are referred to by the slot that they occupy in the chassis. Generally, there are either five or 10 slots for IOMs, so cards will have numeric labels from 1 to 10. The first character in the prompt identifies which SF/CPM card is active, either Slot A or Slot B.
Configure the IOM card to the same type as Equipped. The specific card type may be different on the router. Configuring an IOM card only changes the "Operational State" making a card available. It does not change the number of physical cards, as seen by the absence of any changes in the "Equipped Type" column. The "*" reappeared to indicate an unsaved configuration change. Issuing the admin save command would make it disappear (until the next configuration change). Have a look at the main log to see if anything has been recorded as a result of these last few configuration changes. Use the command show log log-id 99. Display and examine the current MDA configuration using the show mda command. Cannot see any MDAs for IOMs that are not configured. Unless an IOM has been configured, it is not possible to get any information about the MDAs that it contains. In the example, the IOM only has a single MDA plugged into it. At most, two MDAs can fit into an IOM. The MDA is plugged into the IOM in Slot 1. This is determined by the value in the Slot column in the command output. The MDA is plugged into the first of the two available MDA slots on the IOM. This is determined by the value in the Mda column in the command output. Generally, an MDA will always be configured to be the same as shown in the Equipped Type column. Configure the available MDA(s). Note that the exact command will depend on the physical hardware; follow the rule of configuring the type to be the same as shown in the show command. In the command configure card 1 mda 1, the parameter card 1 identifies the IOM in Slot 1; the parameter mda 1 identifies the first of the two available MDA slots on the IOM card. Display and examine all MDAs that are now visible. Configuring an MDA only changes the "Operational State" making an MDA available. It does not change the number of physical cards, as seen in" the absence of any changes in the Equipped Type column. Have a look at the main log to see what has been recorded as a result of this configuration change. 192.0.2.160 and 192.0.2.191 are not used as host addresses on the IP network 192.0.2.160 with a subnet mask of 255.255.255.224 because they are reserved as the subnet and broadcast addresses for the subnet. Display and examine the current port configuration with show port command. The first section is all the physical ports for the MDA(s) in IOM 1, as indicated by the section heading "Ports on Slot 1." Ports on an MDA are named using three numeric values, for example, 1/1/5. The first value identifies the IOM, the second value identifies the MDA, and the third value identifies the actual port. The (management) ports on an SF/CPM card are named using two values - for example, A/1. The first value identifies the SF/CPM card, and the second value is always a "1" since there is only a single Ethernet port on each SF/CPM card. By default, ports start in the Down state. This is an important point to remember since IOMs and MDAs automatically go to an Up state as soon as their type is configured. The default MTUs for each type of port: 1514 for 10/100 FastE ports and 9212 for GigE ports. Configure a single port to a functional state using configure port x/x/x no shutdown command. There are two new pieces of information, both related to the physical cabling attached to the port. The Link column identifies whether cables are connected and attached to equipment at both ends, that is, Yes. The SFP/XFP/MDIMDX column identifies whether the cabling is connected as straight through (i.e., "MDI") or cross-over (i.e., "MDX"). Configure all ports Up that need or want to use. Configure the ports as a range, using a single command using configure port x/x/[2..10] no shutdown command. Configure the system IP address of a router using configure router interface "system" address x.x.x.x/32 command. Verify by show router interface command. The system interface is present by default. The system interface cannot be removed. The system interface admin status is up before and after an IP address is assigned. It can, however, be explicitly shut down. The operational status of the system interface is down before an IP address is assigned. The operational status of the system interface will change to up after an IP address is assigned as long as the admin status of the system interface is also up. A physical port cannot be assigned to the system interface. The system interface is similar to a loopback interface because its operational status is not affected by the state of any particular port. This makes the system address ideal for communication with other devices. Avoids fluctuation of traffic/LSPs in the event of a flapping link or a link with a high error rate. Auto-negotiation should be disabled on Ethernet or Gigabit Ethernet links that are physical members of an 802.3ad Link Aggregation Group (LAG). The maximal MTU value available to services will be lower than the physical (or port) MTU value, due to MPLS encapsulation overhead when transporting user frames/packets over the network. Enabling dynamic costing causes the physical link metrics used by IGP to be applied based on the operational or aggregate link bandwidth in the LAG that is available at the time. On AC-1 and AC-2, identical LAG configuration will be applied. On CE, following configuration will be applied. 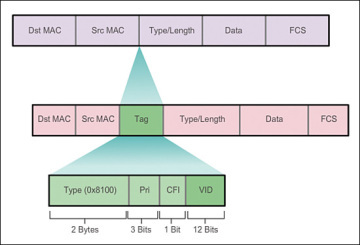 The IEEE 802.1ab Link Layer Discovery Protocol (LLDP) standard defines protocol and management elements that are suitable for advertising information to stations attached to the same LAN for the purpose of populating physical or logical topology and device discovery management information database. Configure the router interfaces required for the point-to-point links. Point-to-point links generally use /30 subnet marks for efficient use of IP address space. When a router interface is created, the default admin state is up regardless of any IP address configuration. If a router interface is created and an IP address is assigned but no other actions are taken, the operational status will be down. The router interface used on the physical links are not loopback or system interfaces. Therefore, a physical port must be bound to the interface to bring it operationally up. Note that the physical state of the port will also affect the state of the router interface. The principle of IS-IS management model is divided into 2 levels (two level hierarchies). If domain is large may be divided into small management area. Level 1 routing is to find path within area. Level 2 routing is to find path between areas. At L2 router can optimize IGP to reduce the number of SPF calculation by configure ISIS multiple instance and performing route summarization. In IS-IS, if the metric is not configured, a default cost of 10 is used. Originally, the maximum metric for a link was limited to 63 (6 bits), with a total path metric of 1023 (10 bits). These limits were not considered granular enough for modern networks, especially with traffic engineering, so a new "wide metric" was defined. The wide metric uses 24 bits to support a link metric of 16,777,215 and a total path metric of 4,261,412,864. A path that has a greater cost than the limit is considered unreachable. On point-to-point adjacencies, the election of a Designated Intermediate System (DIS) and regular generation of CNSPs is an unnecessary function. Configure interface into IS-IS area 49.01 as a Layer 2 point-to-point interface. Because router has been configured as an L2 only router, there are no L1 LSPs in IS-IS database. There is one L2 LSP in the IS-IS database that includes the network of interface toR2. Note that the L2 LSP is created even though there are no IS-IS adjacencies on which to send the LSP to other routers. configure router isis interface "system"
If passive interface is configured, all same Level IS-IS routers will aware of it and have a corresponding route in their route tables. The advantage of MD5 authentication is that the authentication keys are encrypted rather than sent in plaintext. Configure the router to use wide metrics and a reference bandwidth so that IS-IS computes link metrics the same way as OSPF. Multiple IS-IS areas can be used to improve scalability and convergence time. An L1 adjacency will not form in different areas. They must be L2-capable to form an adjacency with a router in a different area. RFC 5130 defines the ability to add an additional attribute to IS-IS routes - the administrative route tag. This can be used to identify certain routes that are to receive some special treatment at another point in the network. This might be for routes that are to be exported to another protocol such as BGP (Border Gateway Protocol) or to control leaking between levels in IS-IS. Bidirectional Forwarding Detection (BFD) offers a light-weight, low-overhead, short-duration detection of failures in the path between two systems. By default, epipe and VPLS services are configured with a service MTU of 1514. By default, the signalled VC-MTU is 1500. IES and VPRN services have no service MTU configured. By default, there is also no SDP path MTU configured. 3 Epipe services and 2 VPLS services have been configured between two PE routers. 10 service labels will be signalled in total. A: PE-1# configure service ies 100 interface "To_VPLS_1000"
Signalling is required between the PE routers in order to provide the necessary connectivity information throughout the VPN. Two approaches exist to provide this end-to-end signalling information. The Draft-Martini uses T-LDP between the PE routers to distribute VC labels. This mechanism contains information such as the unique VC ID, the specific interface parameters and the VC Type, such as ATM, Frame Relay and Ethernet. The PE routers use this information to build the forwarding tables and set up the VC LSPs. The Draft-Kompella approach makes use of BGP between the PE routers to advertise route distinguishers and route targets. This enables the receiving PE to determine if the incoming BGP update is relevant for its VPN clients. If so, the receiving PE accepts the update and populates the forwarding tables accordingly. To be used as a SAP, a port must/can only be configured/created on a port configured as "access"
A: R1# configure router interface ? admin display-config command is used to display the complete configuration of an SR! show router rsvp session detail | match expression "LSP|Label|From|Hop|Interface"
The segment can be thought of as a set of instructions from ingress PE such as "to go node N using the shortest path", or "follow the shortest path for prefix P", or "use link/node/explicit-route "L" etc. tools perform router mpls resignal lsp "lsp-name" path "path-name"